Below are frequently asked questions. If you can not find the answers to what you're looking for, feel free to contact us. The age limit is 20 years, 18 years on Thursday October 17th. It opens at 15.00, 12.00 on Saturday 12 and 19 October. It closes at 02.00 every day. When do the artists go on stage? The show on stage starts at 17.00 on weekdays and 15.00 on Saturdays. Do you allow animals at Oktoberfest? Do we who have reserved tables buy tickets as well? If you have a reserved table, the ticket is included. 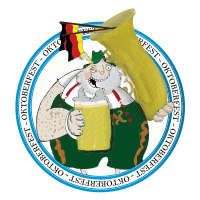 Oktoberfest is a day party, so we encourage everyone to come early to enjoy the event. The Tyrolean orchestra goes on stage a couple of hours after the doors open. If you have a reserved table, it is specified on the ticket when you have to be there to keep the table. How many are there on a table? There is room for ten people on a table. If you want to reserve for more people, you must reserve more tables. You can also reserve a table for four people. Are there tables if you have not reserved? Yes, there are tables. First come, first served. You choose it yourself, but we encourage everyone to dress in Lederhosen or Dirndl. Do we have to know the songs? No, you will learn them quickly. Passport, driver's license and bank card with photo. Is the venue accessible for wheelchair- and handicap users? Yes, but not in the VIP area. What is sold in the bars? 98, - for 0.5 beer in the bar regardless of brand and %.